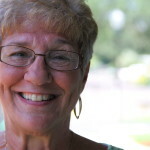 My husband and I moved to Orlando from Pittsburgh when we retired four years ago. We were tired of the cold and snow. Larry is a golfer and had looked forward to golfing all year long. I, on the other hand, was just looking forward to wearing shorts and flip flops year round. … The sun really does shine all year long! After living in a few communities that didn't suit our lifestyle, we discovered our dream community in Hyde Park … it’s perfect. We got involved in all the activities and made friends quickly. Management is not only accessible, but they're helpful and pleasant. The town of Winter Garden has so much to offer. Larry and I take our golf carts to the historic district Friday nights to listen to the live music. On Saturdays, we go to the farmers’ market for our fresh, locally grown produce. We really do love living here! There’s always something happening here at Hyde Park, from the many activities in the Clubhouse daily, to the monthly dinners, and the annual [holiday] parties. I like to stay busy by playing shuffleboard and Mexican train dominos, as well as doing chair exercising, which takes places three times a week at the Clubhouse. I enjoy my morning walks around the community where I can meet up with other walkers and socialize. I’ve made a number of friends here at Hyde Park … we always have a good time together. It’s a safe, fun place to live! 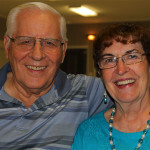 Upon retiring and feeling the need to move from a two-story house, we thought a 55+ community would be a good choice. After evaluating several possibilities in the Orlando area, Hyde Park became the most appealing. The first time we visited the park we were immediately impressed with the overall appearance and friendliness of staff and residents. Management was instrumental in helping us find a fitting home for us, and we've been extremely pleased with it. There are many activities available in Hyde Park. A favorite of ours is the monthly meal, which on many occasions provides entertainment and door prizes. At these monthly gatherings, we enjoy being with friends and neighbors, as well as meeting new ones. Shirley also enjoys participating with the ladies in chair exercise and craft classes, as well as needle group and monthly bible study. All of these are held conveniently in the community Clubhouse. Shuffleboard is a great pastime when grandchildren come to visit, as is swimming in the well-maintained pool. The neighborhood has several pleasant streets for taking walks. However, it’s been nice to have an exercise room to use during inclement weather. 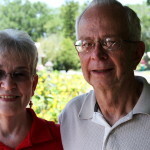 Hyde Park has turned out to be just the right 55+ lifestyle community for us! 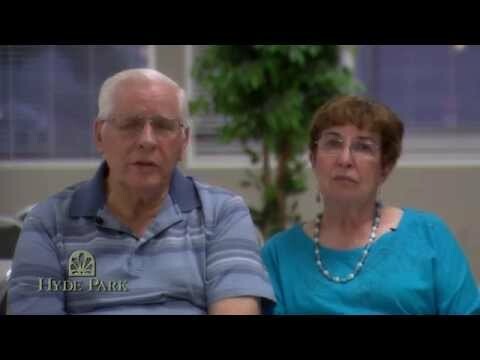 My husband, Chuck, and I have been at Hyde Park for four years. We moved here from the Rosemont area of Orlando to be closer to our daughter and her family. This is the best place to live. Located close to shopping, restaurants, a hospital near by and access to highways to take us to anyplace we need to go. The “Park” has great activities, something for everybody; games, swimming, dinners, entertainment and pot lucks at the clubhouse. The on-site managers are always available and keep the grounds and facilities well maintained. Hyde Park is a friendly community where neighbors look out for each other. It is a safe place to walk your dog and spend a few minutes passing the time of day saying “Hi” to a neighbor. We decided many years ago to move into a manufactured home community, because we had a motor home, camped a lot, and liked the life style. 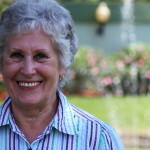 We thought that when we retired it would be nice to live in this type of community so that we could travel and feel that our home was safe (The Winter Garden Police Department regularly patrols within our community). We did not want the responsibility of taking care of a large house and yard again. We looked at many adult communities looking for activities and the amenities that were important to the life style that we enjoyed. We liked Hyde Park because of its location in the state. We didn't want on either coast due to storms. It is an easy trip to get to many places in Florida from this central location. We feel Hyde Park is a friendly community. We enjoy being involved in some of the many activities/events that occur on a monthly basis. We are very happy here and encourage you to come and visit our community.